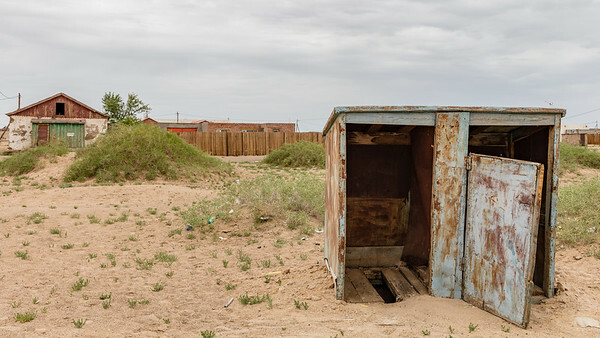 Here are the majority of my travel photography pictures. 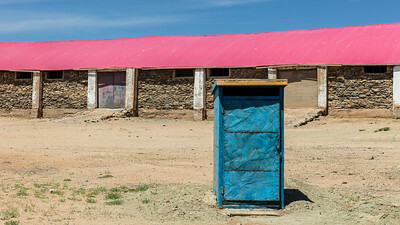 While you may see other travel photographs in other galleries this folder hold images that don't fall under the other categories. 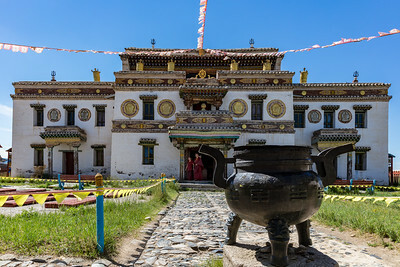 The Laviran Temple at the Erdene Zuu monastery where monks activly practice their religion. 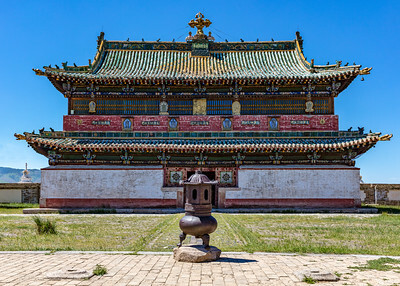 One of the many stupas and the wall that surrounds the Erdene Zuu Monastery in Kharkhorin, Mongolia. 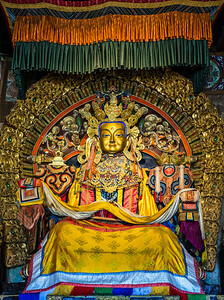 Dharmapala, one of the protector buddha statues in the Erdene Zuu Monastery in Kharkhorin, Mongolia. 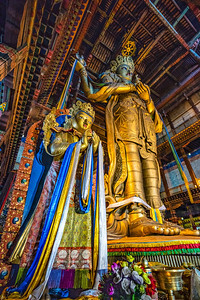 One of the statues of Buddha in his teenage years in the Erdene Zuu Monastery in Kharkhorin, Mongolia. 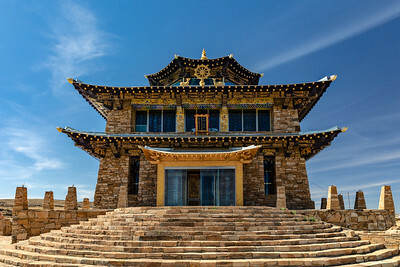 One of the main buildings in the Erdene Zuu Monastery in Kharkhorin, Mongolia. 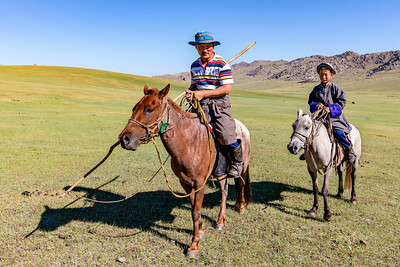 Father and son, part of the extended nomadic family that lives nearby in the grasslands of Mongolia. 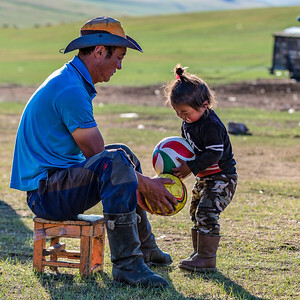 Father and daughter playing with a couple of balls. 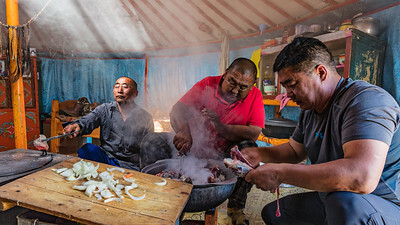 Three Mongolian men each with different tasks starting to cook the meat of the slaughtered sheep. 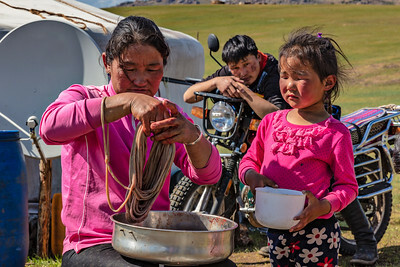 Young Mongolian girl helping out as the elder woman arranges the intestines and the eldest son looks on. 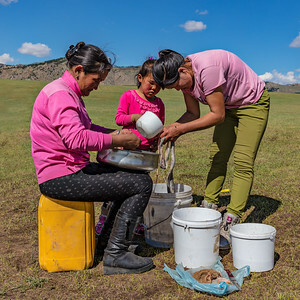 Women of the Mongolian family cleaning every organ pulled from a sheep killed for dinner. 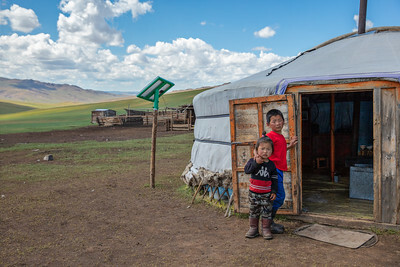 Two of the Mongolian children from the family and extended family in the area we camped at in the grasslands of Mongolia. 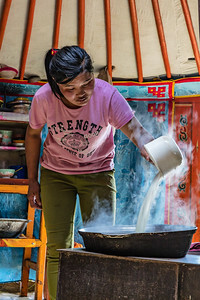 Native Mongolian making milk tea, a traditional drink served to guests. 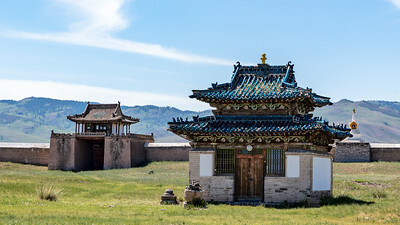 The only rebuilt building on the grounds of the Ongi Monastery in south central Mongolia. 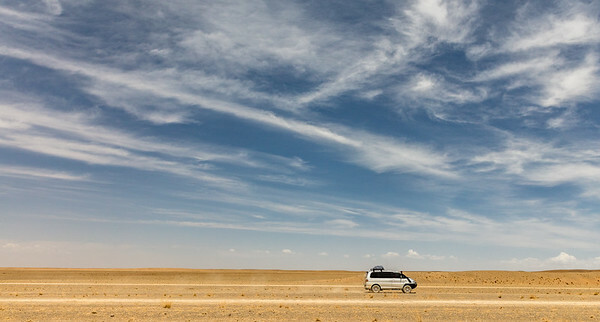 Tour van driving across the Gobi Desert in Mongolia. 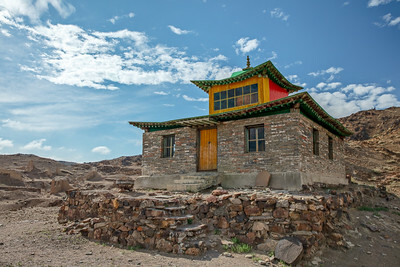 The recently built part of the Delger Choir Monastery. 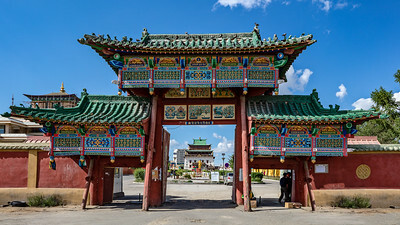 The original buildings were destroyed during the Russian occupation. 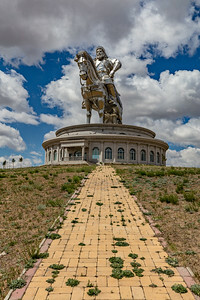 A view of the entire Genghis Khan statue complex measuring 40 meters tall. 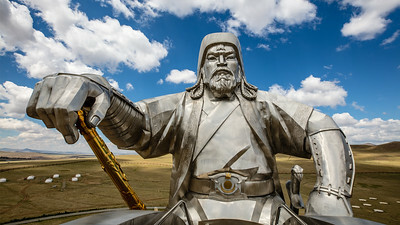 The larger than life stainless steel statue of Genghis Khan located west of Ulaanbaatar, Mongolia. 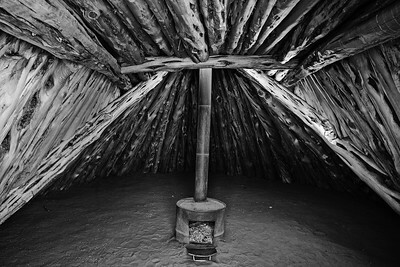 A look inside of a tradition Navajo home in Monument Valley Navajo Tribal Park, Arizona, USA. 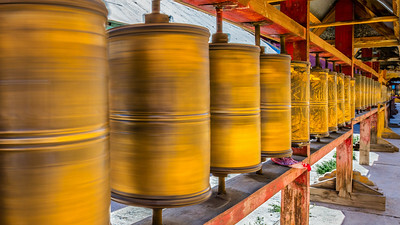 Burmese woman sleeping on the circular train in Yangon, Myanmar. 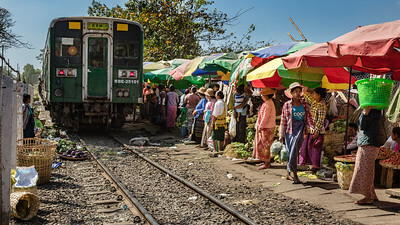 Burmese locals moving out of the way of a train as it pulls up to the station at the Da Nyin Gone market in Yangon, Myanmar. 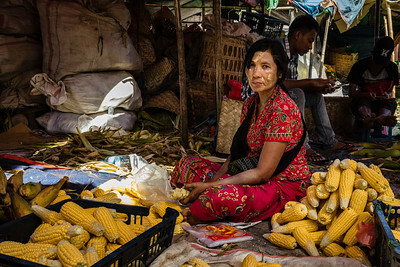 Burmese woman selling cooked corn at the Da Nyin Gone market in Yangon, Myanmar. 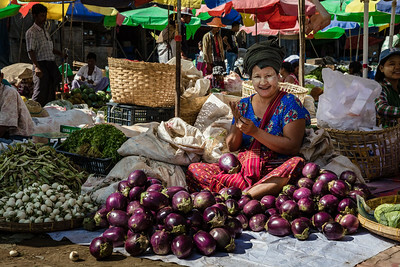 Burmese woman selling eggplant and other produce at the Da Nyin Gone market in Yangon, Myanmar. 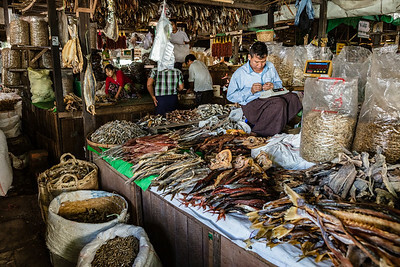 Burmese man selling dryed fish and seafood at the Da Nyin Gone market in Yangon, Myanmar. 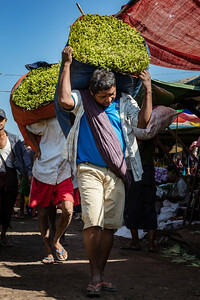 Burmese men carrying produce for a stand at the Da Nyin Gone market in Yangon, Myanmar. 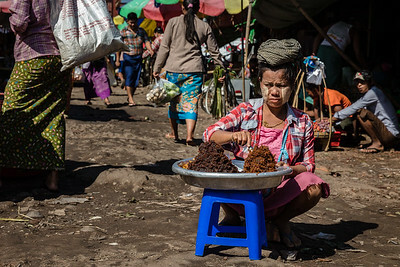 Burmese woman selling food at the Da Nyin Gone market in Yangon, Myanmar. 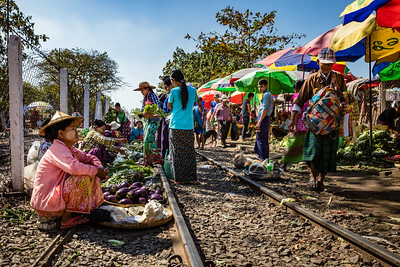 Burmese locals selling produce on the train tracks at the Da Nyin Gone market in Yangon, Myanmar. 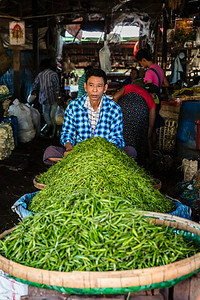 Burmese man selling beans at the Da Nyin Gone market in Yangon, Myanmar. 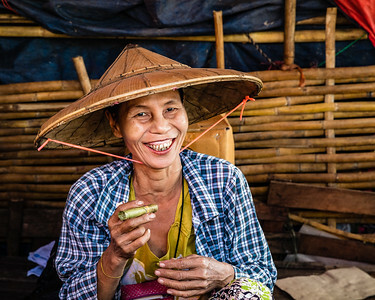 Burmese woman about to light her cigar at the Da Nyin Gone market in Yangon, Myanmar. 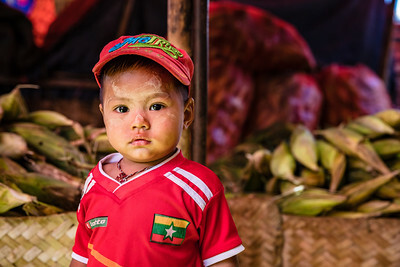 Young burmese boy at the Da Nyin Gone market in Yangon, Myanmar. 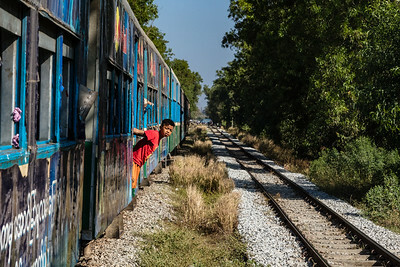 A Burmese boy leaning out the train as it moves down the tracks in Yangon, Myanmar. 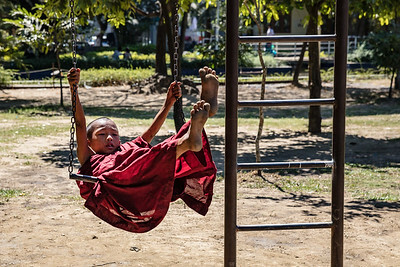 Burmese locals on the circular train in Yangon, Myanmar. 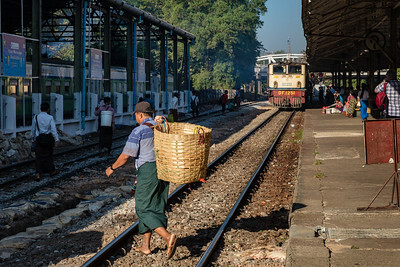 Burmese locals ready to board the circular train in Yangon, Myanmar. 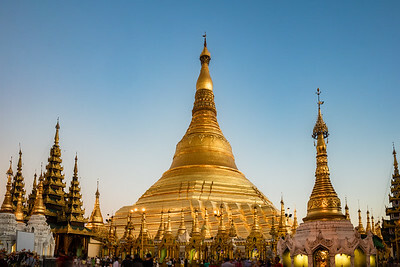 The Shwedagon Pagoda just after sunset on a clear day in Yangon, Myanmar. 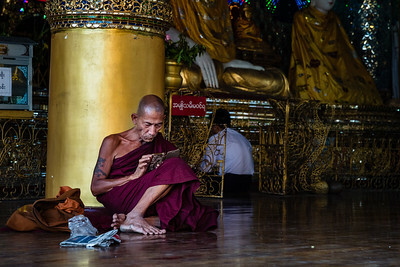 Old monk spending his free time on his mobile phone like the rest of the world at the Shwedagon Pagoda in Yangon, Myanmar. 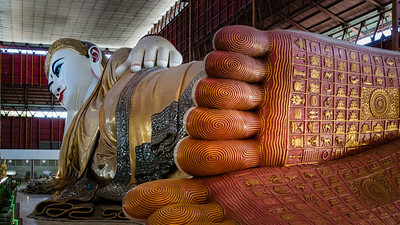 One of the largest Reclining Buddha in the Chaukhtatgyi Temple, Yangon, Myanmar. 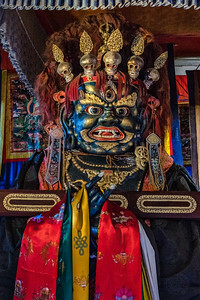 The eyes alone are 5 ft 10 in × 1 ft 11 in. 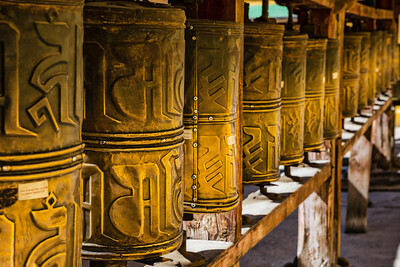 Panorama of pagoda's holding pages of the world's largest book in the Sandamuni Pagoda in Mandalay, Myanmar.